Superman: The Story of the Man of Steel boils down the complicated story of Cal-El / Clark Kent so a four-year old can understand it. It talks about his childhood, Krypton and the Daily Planet. 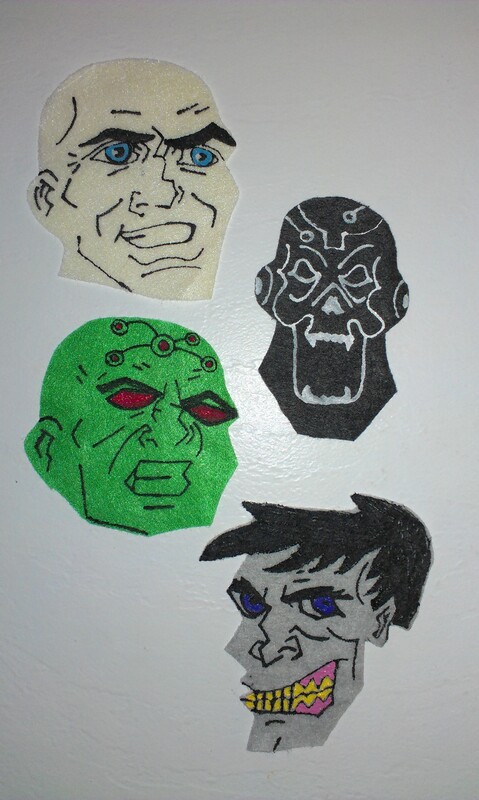 The kids’ favorite part of the book is when it highlights the villains, including Lex Luthor, Metallo, Brainiac, and Bizarro. Copy both sheets on white paper. 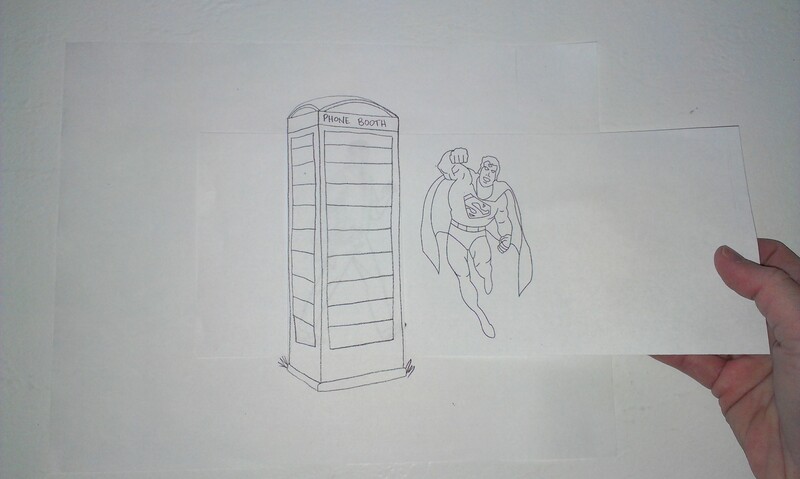 Cut out the second sheet (with Clark/Superman) in the box. 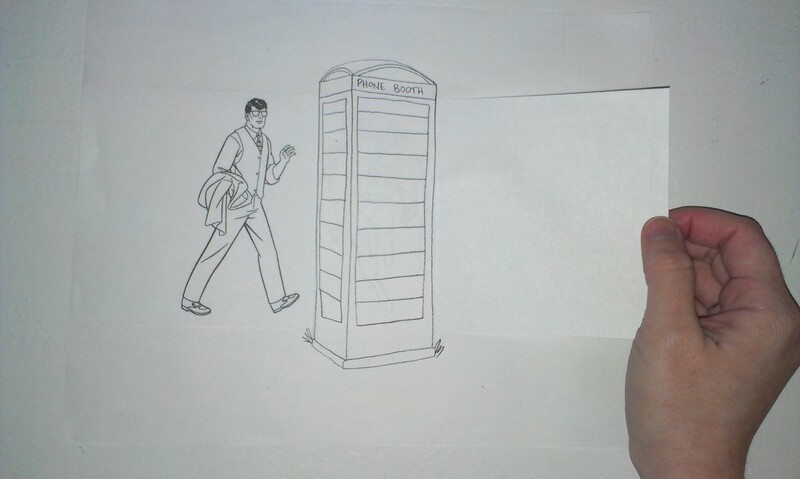 Using a razorblade or scissors, score the vertical lines of the phone booth. 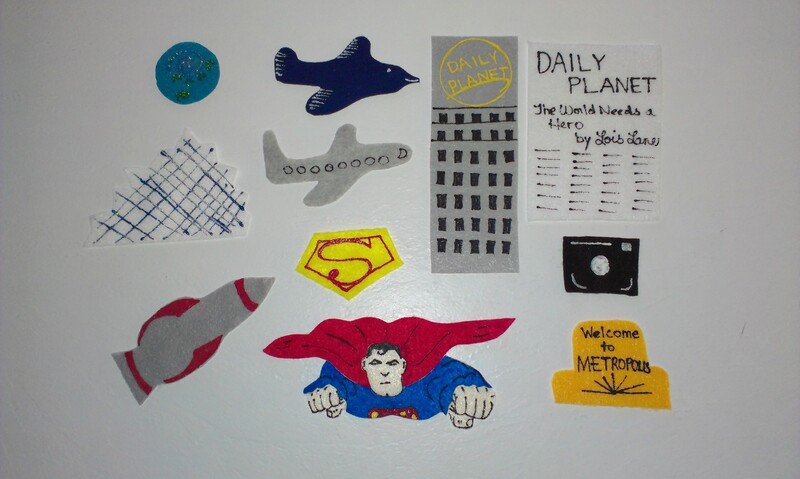 Slide the Clark/Superman sheet behind the phone booth to reveal a superhero switch craft! Reading with Red is hosting this week’s Flannel Friday, be sure to check it out! 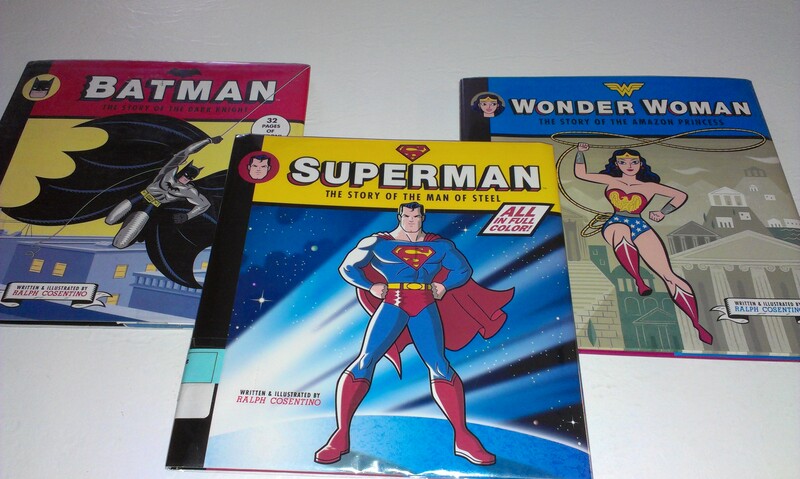 This entry was posted on March 26, 2014 by mrsshaia in Every Hero Has a Story, Flannel Friday, Flannel Stories, Superhero Storytimes and tagged Clark Kent, Every Hero Has a Story, Flannel Friday, Flannel Stories, Ralph Cosentino, Superhero Storytimes, Superman.